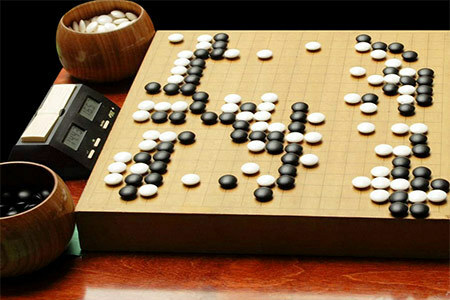 Robert Jasiek, German 5D and author of eight go books aiming to clarify various aspects of the game for kyu players, has released his ninth and tenth instructional books. With Endgame 1 – Fundamentals Jasiek begins a study of the last phase of the game, where “most moves of a scored game belong,” he writes. Most endgame instruction focuses on calculating the value of each remaining sequence. Jasiek takes a more strategic approach. Have you ever wondered how to avoid premature or worthless endgame moves? How can you prepare for the end earlier in the game? Jasiek looks at these considerations while also delving into other strategic factors such as forcing moves, timing, sente/gote and importance of reading. These principles are reinforced with 229 problems. Click to view the table of contents or some sample pages. Volume Two will address how to calculate the value of endgame plays. Jasiek describes his fourth book on josekis, Easy Learning – Joseki, as a summary of his three-volume joseki series. It is intended as the first or second book on the topic for the aspiring new player. Each of its 196 pages addresses a specific joseki or topic in simple bite-size lessons. Jasiek begins by discussing a dozen or so of the most common patterns, then begins his standard approach of interspersing one- or two-page essayson topics such as “Why To Cut,” “What Is Efficiency?” and “What Group To Defend?” Click to view the table of contents or some sample pages. These two books are worthy additions to Jasiek’s growing collections of books for aspiring mid-level players. Don’t expect any “New Moves” or groundbreaking strategic concepts, but Jasiek’s books present familiar concepts that appear well-founded in standard thinking. They are organized in a way that is thoughtful and easy to follow. Some of the brief essays seem especially useful in their simplicity and clarity. If you find other mid-level books overly problem-focused and want more explanatory content, have a look at Jasiek’s growing catalog.